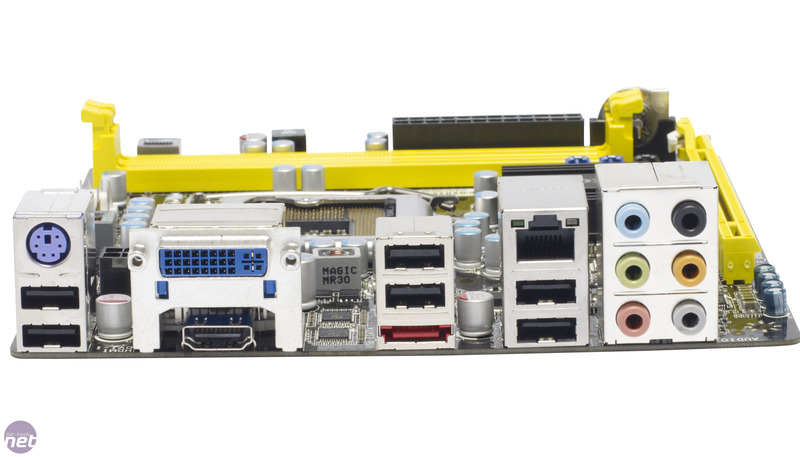 We haven’t seen a Foxconn motherboard here at bit-tech for a little while, but we were intrigued by the H67S. 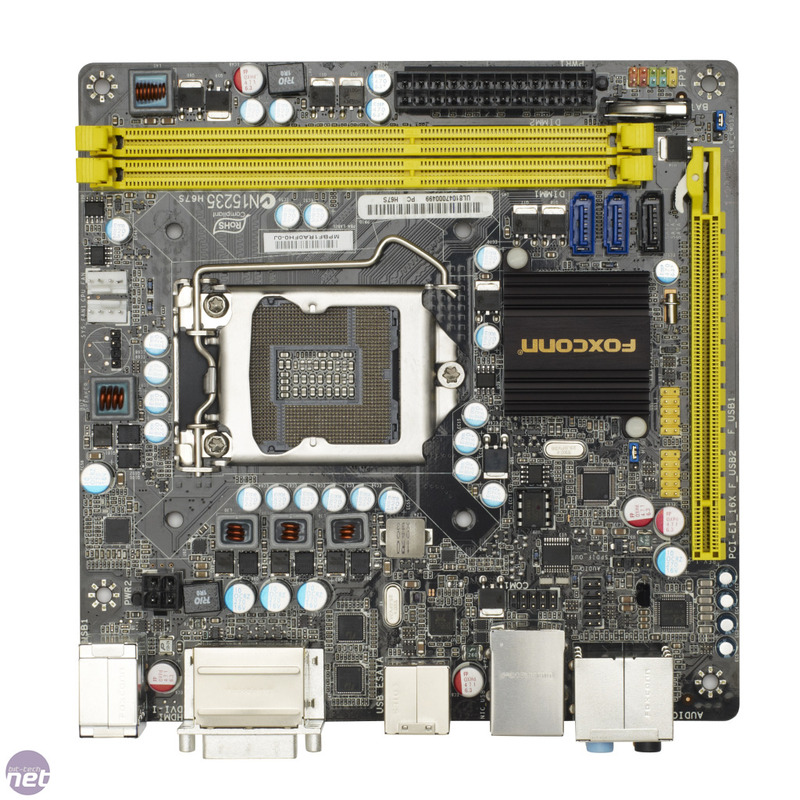 Costing just under £70, it’s the cheapest LGA1155 motherboard we’ve seen by a considerable margin. You don’t get something for nothing, though, so Foxconn has had to make a few compromises to squeeze all that LGA1155 goodness into such a small price point. 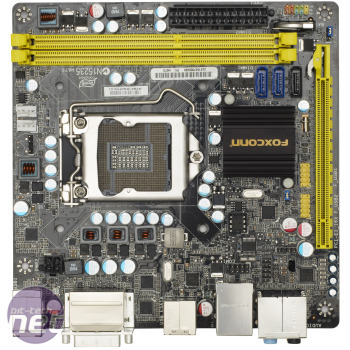 The most immediately obvious reason for the low price is the size of the board – like the Zotac H67-ITX WiFi, it conforms to the mini-ITX form factor. This should send the average bit-tech reader into a misty-eyed trance at the thought of packing an LGA1155 CPU into a tiny mini-ITX case. Who wouldn’t love to own a lunchbox-sized PC that can play Crysis? Unfortunately, matters aren’t quite that black and white, as the H67S is based on Intel’s H67 chipset. This is the chipset you need to enable the Processor Graphics (PG) of an LGA1155 CPU, but it also locks off CPU overclocking. Some H67 boards let you overclock the PG to compensate, but unfortunately we couldnt find any such options in the EFI of the H67S. This sours the idea of an LGA1155 system a little, but it means that you may as well opt for a cheap CPU rather than a fancy K-series model. However, we used the Core i5-2500K for testing, as we wanted to verify that overclocking was disabled and compare the speed of H67 boards with that of P67 boards. Foxconn has also clearly kept costs down in other areas of the board. There are only three SATA ports, for example, despite the H67 chipset supporting up to six – at least two of these are SATA 6Gbps ports. A limited number of SATA ports isn’t much of a problem, however, as an average mini-ITX chassis won’t have room for anything more than an optical drive and a pair of hard disks. Of slightly more concern is the lack of USB 3 ports on the H67S. We’re starting to see more USB 3 peripherals become available, and it doesn’t bode well for the longevity of the board that it won’t be able take advantage of these devices. If you use the H67S as the basis of a media PC, you could transfer files over your home network though, so there are workarounds to this predicament. The H67S also plays host to VRM components that are distinctly less flashy than those found on the Zotac board. Whether or not this will be an issue depends on the workload and operating environment to which the board is subjected – we’d have no qualms about using the H67S in a PC that mainly records and plays video, but we won’t be trying to build a mini folding farm with it anytime soon.